Slow and Steady wins the race! Go for a cruise or hide in your shell. 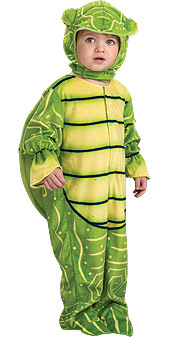 Whatever you choose you'll be the smartest turtle in the neighbourhood wearing this Little Turtle Costume.